Good morning!! Listen to this short video to hear about the 3 pillars of my campaign. 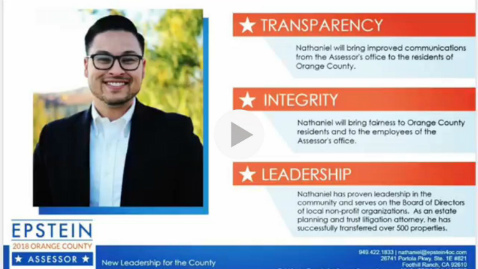 ✅ Vote Nathaniel Fernandez Epstein for ASSESSOR!